The history of the Colborne Baptist Church is believed to have started in Salem, some three miles East of Colborne. The date when the Baptist Church was built there is believed to have been about 1834, which date is subject to correction a year or two either way. It was one of the first churches in this part of the county, and while belonging to the Baptists, it was also used by the Methodists. The two denominations could not agree in spite of the fact that most of the members of each church were related and neighbours. Sometimes the Methodists disrupted the services and sometimes the Baptists locked the door and wouldn’t let the Methodists in for services. The Methodists built a brick church in 1862 (1 Church Street East) and the Baptists sold the Salem building to the community in 1877for use as a school house. The new Baptist Church was erected on land given by Reuben Crandall and was opened for worship on July 19th 1881. The first minister was the Rev. Mr. Dowling, who besides being a preacher, was an excellent artist. Several of his paintings perished in the fire which destroyed Kelwood, the mansion built by Joseph Keeler North of Colborne. Some of the paintings are preserved in the Masonic rooms in Colborne and are highly prized by the members of that lodge. One of the other gifted ministers of this congregation was the Rev. Thos. Watson, who had a ministry here for eleven years at the beginning of the Twentieth century. The Colborne church was linked to the Baptist church in Wicklow. Rev. Watson composed a book of poems, the poetry was about people he knew and current events. He wrote verses for the newspapers, and many of them were set to music and used as solos or choir numbers. A number of fine Christian gentlemen have been ministers at this church since its formation, among them the Rev. Mr. Coles, who bought land at Victoria Beach and had it surveyed. Here many Baptists built cottages and it was known as the Baptist Summer Homes Association. 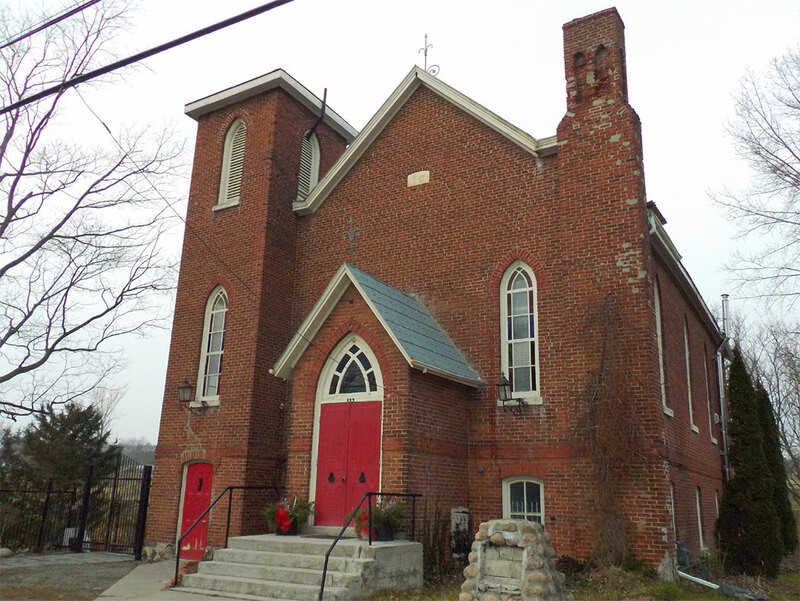 He also opened up the Eddystone Baptist Church, Northwest of Colborne. This had formerly belonged to the Christian denomination, very similar to the Baptists. Present day (2017) the Colborne building is privately owned and it has undergone a multi-year upgrade.